The study, entitled “Surprising Prevalence of Significant Vitamin D Deficiency in Neuro-muscular Disease Clinic in Central Pennsylvania,” was conducted by Sankar Bandyopadhyay, MD of Penn State Hershey Neurology in Hershey, Pennsylvania, and Sol Dejesus, MD., a Neurology Fellow at The University of Florida Health Center for Movement Disorders & Neurorestoration in Gainesville, Florida, and a physician at Penn State Hershey Center. The AANEM Annual Meeting is the premier event focusing on diagnosis and treatment of neuromuscular diseases and electrodiagnostic (EDX) medicine. “Previous work has shown vitamin D deficiency to be quite common in other neurological disorders such as multiple sclerosis, myasthenia gravis, and Parkinson’s disease. This study suggests this concern may be more prevalent in other neuromuscular conditions as well,” says AANEM News Science Editorial Board member Ileana Howard, MD, in a release. Drs. Bandyopadhyay and Dejesus note that despite reports — albeit scattered — of vitamin D deficiency in various conditions of fatigue and pain such as Crohn’s disease, fibromyalgia, Parkinson’s disease, pregnant women, and myasthenia gravis, a search for vitamin-D deficiency is still not a routine or standard clinical practice, and while effective treatment exists, it is often missed. The objective of this study was to determine the prevalence of vitamin D deficiency among patients seen in the neuromuscular clinics in a central Pennsylvania academic institution in fall and winter months. The Harvard biomarker study published in October 2013 in Neurology journal showed a deficiency in 17.6% Parkinson’s disease patients compared to 9.3 %controls. Retrospective data analysis from the neuromuscular data pool was done for patients randomly seen in fall and winter by the first author, with Vitamin D routinely ordered for weakness, ache, or pain. The coauthors report that all of these patients had a clinical neuromuscular diagnosis, with Vitamin D deficiency defined as 25 (OH) D3 level of <30ng/ml. The researchers found that of 50 blood levels, 24 were below 30 (Deficient: 48%), 3 at 30 (borderline: 6%), 16 were between 30 and 40 (low normal: 32%), and only 7 were above 40 (Clear normal: 14%). A severe deficiency level below 20 ng/ml was seen in 11 blood test (22%). The prevalence of vitamin D deficiency was significantly above the Harvard biomarker control values considering similar climatic and ethnic influences. Drs. Bandyopadhyay and Dejesus conclude that although 25-hydroxy-D3, which are produced in liver and skin stimulated by exposure to sunlight, can be low in fall and winter, significantly lower levels were seen (p>000.1) among the patients seen randomly in their neuromuscular clinic, and suggest that widespread case-control studies with seasonal influences are worth studying. 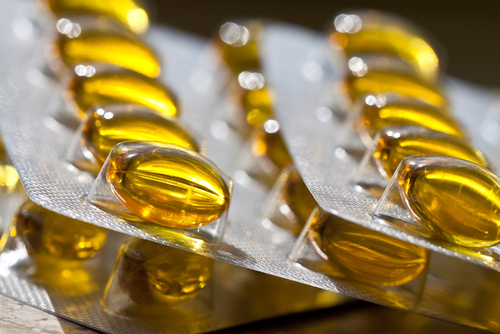 Vitamin D supplementation has been suggested to improve function in frail elderly patients at risk for falls, as well as individuals with myasthenia gravis and Parkinson’s. The impact of vitamin D deficiency and supplementation on function in other neurologic conditions has yet to be explored. “While the connection between vitamin D deficiency and neurologic disease is likely complex and not yet fully understood, this study may prompt physicians to consider checking vitamin D levels in their patients with neurologic conditions and supplementing when necessary,” says Dr. Howard. A 2012 Czech study entitled “Vitamin D and neurological diseases” (Vnitr Lek. 2012 May;58(5):393-5.) coauthored by J. Polívka of Neurologická klinika Lékarské fakulty UK a FN Plzen, J. Polívka Jr, M. Peterka,V. Rohan, P. Sevcík, and O Topolcan, also provides an overview of the association between vitamin D and some neurological diseases. The researchers say the majority of literature refers to cerebrovascular diseases, followed by multiple sclerosis and cognitive disorders. They conclude that Vitamin D hypovitaminosis might be associated with the diseases directly or alternatively might contribute to the disease risk factors (typically in cerebrovascular events). They also observe that Vitamin D hypovitaminosis may also play a role in patients with residual functional involvement due to a neurological disorder (movement disorders, lack of self-sufficiency) and worsen functional status owing to muscle weakness, instability and falls.